Giveaway to celebrate this new Version! To celebrate, we’re having a Giveaway! 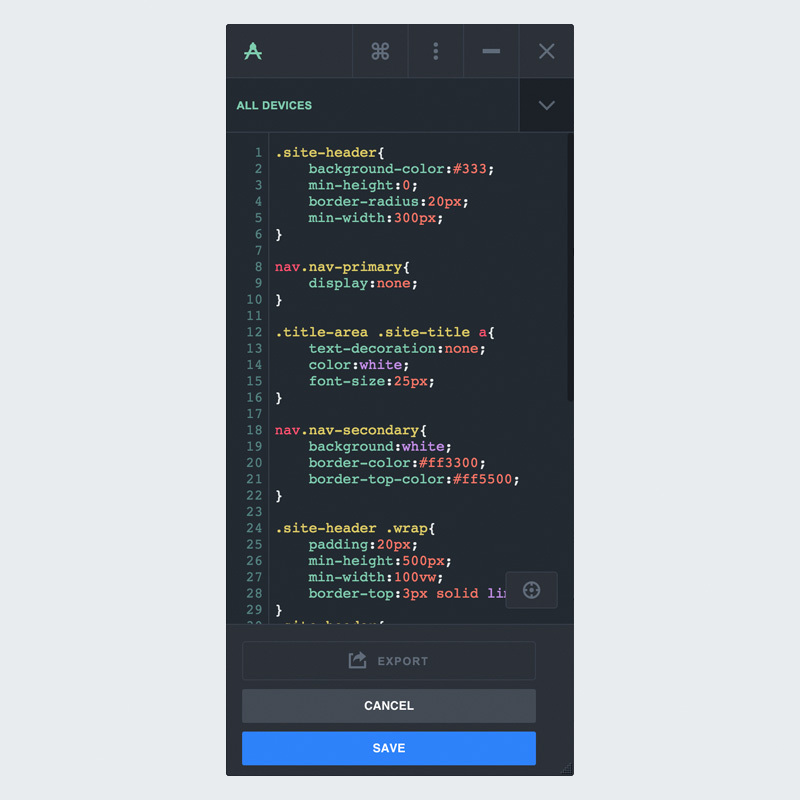 This time you have the chance to win a CSS Hero PRO plan worth $199. 4. 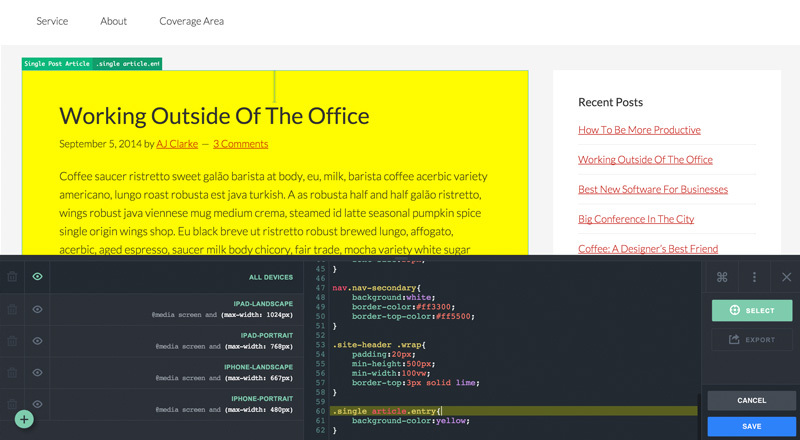 Take a tour on our HeroReady Themes and Plugins list. Use the Rafflecopter widget below to do any of these things, and you’ll be entered to win! The Giveaway ends on 22th of March 2016, and the winner will be announced on this post and contacted by email shortly after. Edited: Picked the Winner of the contest. Today we’re pretty happy to announce that CSS Hero’s best friend: Inspector, has been updated to v 0.93 bringing in a number of new features plus some minor bug fixes including the “missing !important” bug. Now you can choose to switch the Inspector position from fixed bottom to floating left in one click. This alternative layout also allows both to drag it across the page and to minimise it to have a quick glance of your web page in a click. 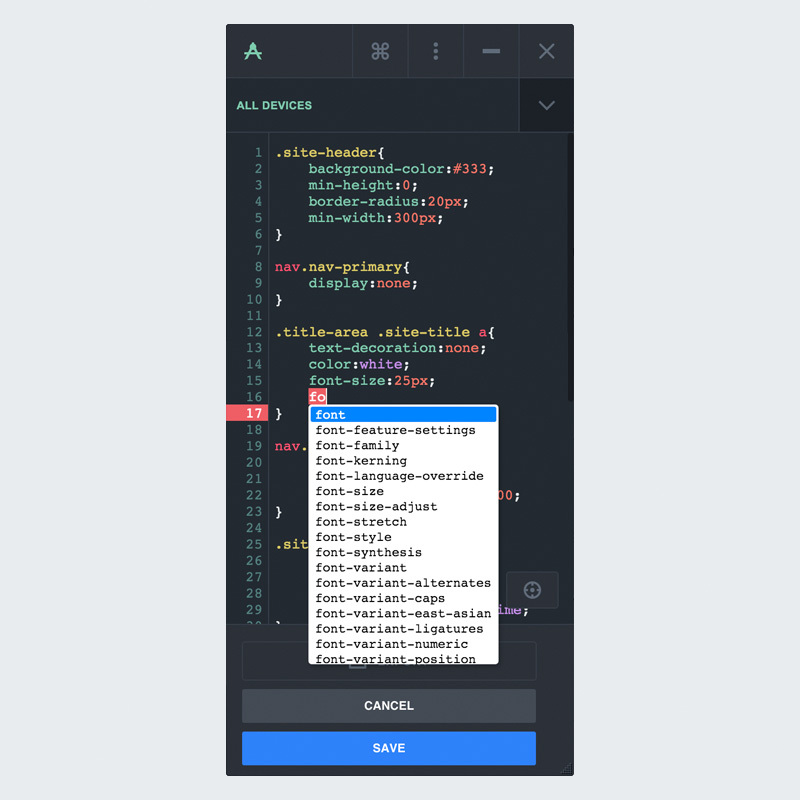 The Select button has been improved including a search-highlight functionality to the click event which will scroll the Inspector to the CSS line in charge of styling the clicked element if provided. If not provided a new line will be generated with the CSS selector for that element instead. how does one update from .91 to .93 . When trying to update the downloaded .93 from Css Hero dashboard and importing to WordPress the install fails. Any suggestions? Does CSS Hero / Inspector allow the exporting of entire WordPress themes (PHP files and CSS) which can work independently of CSS Hero/CSS Hero Subscriptions? I would be interested in this software if this were possible. nope, CSS Hero would just allow you to eventually export CSS edits in case you don’t want to use Hero anymore while keeping the edits you did alive. 1. How do I clear all memory of what CSS has done to a website so it won’t keep coming up. I have deleted the history but the changes keep coming up in my website. The only way I can get the theme back is to turn CSS Hero off. Turn it back on an all the unwanted changes are still there. How do I get CSS Hero returned to its default state? 2. Are the any recent tuts on what the new Inspector will do or will that come after the beta is over. I’m sure that it will do more than I have discovered but Colin always does a nice job of showing all the new features.